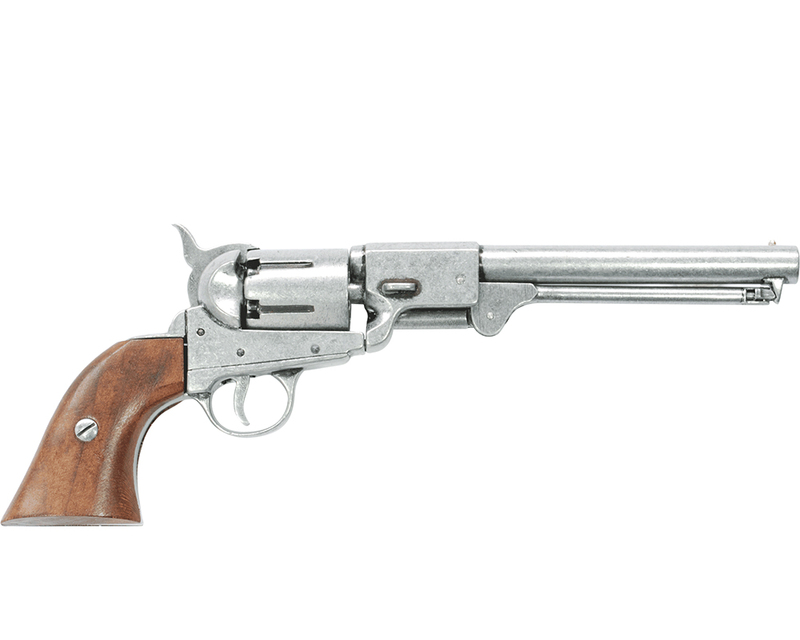 The most used revolver during the Civil War conflict. 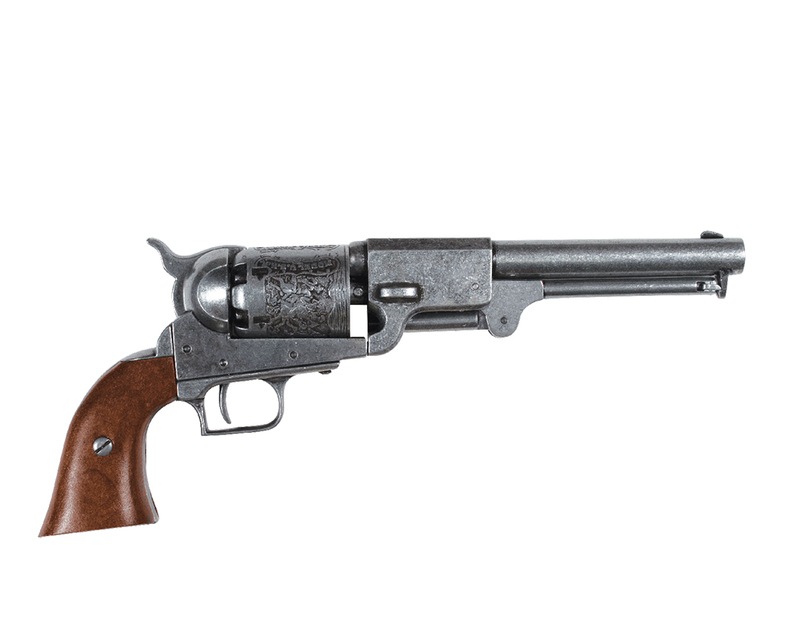 The gun was a .44 caliber, six shot, front-loader that took linen or paper cartridges. 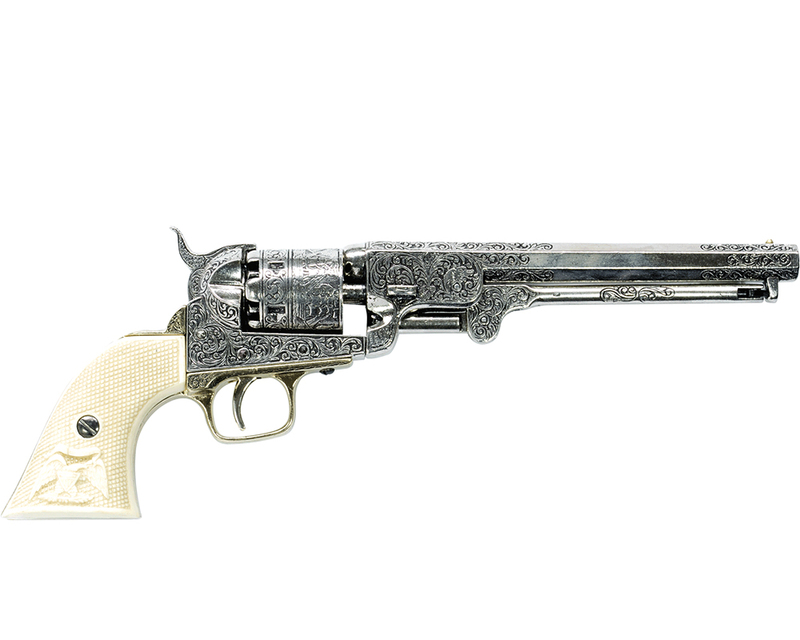 This non-firing replica has the handling characteristics of the original, with functional lock and loading mechanisms. 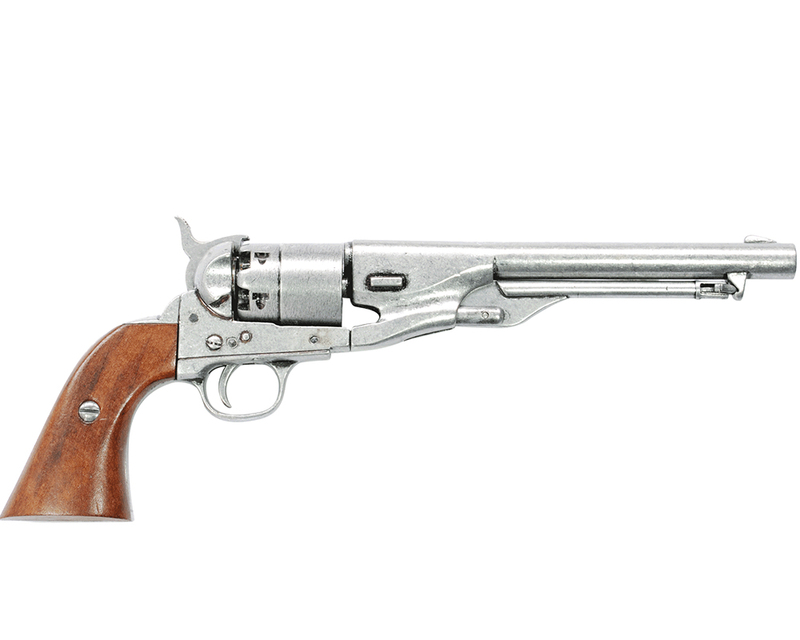 Overall length: 14''; Weight: 2.3 lbs.